Tokyo is the world’s most populous urban agglomeration. As the capital city of Japan, it is the country’s political, economic and cultural center. Although the city occupies only 0.6 percent of Japan’s total land area, it is home to more than 10 percent of the country’s population and it accounts for over 4 percent of Japan’s total GHG emissions. Tokyo Bay seen from Odaiba, Minato. Photo courtesy of cors via Wikimedia. Since joining ICLEI in 1997, Tokyo has increasingly recognized that a shift towards a low-carbon city in terms of Tokyo’s corporate activities and urban design is essential for maintaining growth, dynamism and its natural environment. At the same time, Tokyo’s efforts to strengthen climate change mitigation measures are an essential part of its responsibilities as a leading sustainable megacity. 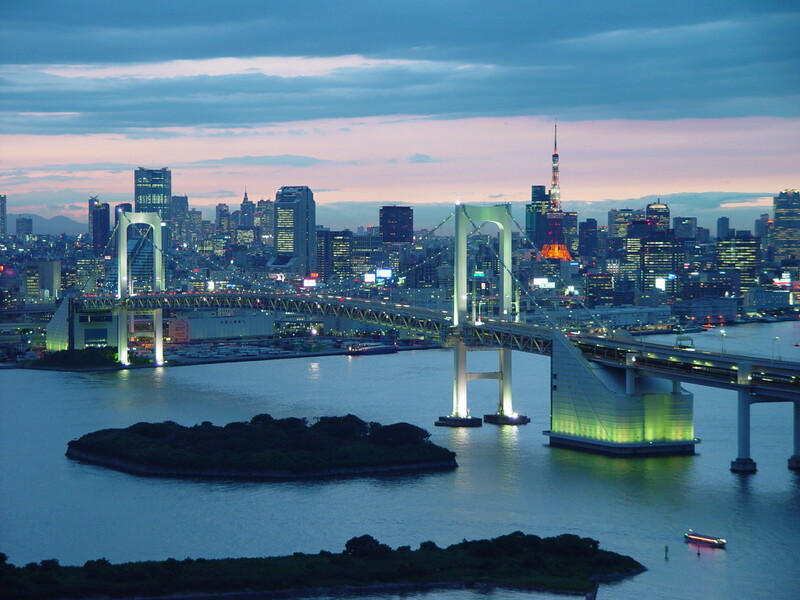 One aspect of Tokyo’s efforts is its drive to improve energy efficiency in buildings. Energy consumption in buildings reportedly accounts for as much as 40 percent of total global energy consumption. Constructing low-carbon buildings is therefore critically important for achieving reductions in CO2 emissions. Approximately 20,000 m² of floor space are built in Tokyo every year. This makes Tokyo one of the fastest-growing cities in the world. Considering that buildings constructed today will exist for more than 30 years, the energy performance of new buildings will have a significant impact on Tokyo’s future emission trends. Tokyo has therefore implemented the Green Buildings Program. The program requirements apply to owners of newly built buildings with over 5,000 m² total floor area. Owners and developers of such buildings are required to construct buildings that incorporate environmentally-friendly designs based on Tokyo’s green building design guidelines. The owners must also prepare Building Environmental Plans explaining and rating their environmental designs, and submit these plans one month prior to building permission applications. The Building Environmental Plan of each building is posted online. Buildings are rated using three grades and displayed using charts. Minimum energy performance standards are set higher than the national standards. A feasibility study is required to introduce on-site renewable energy technologies. Owners and developers are required to submit proposals to Tokyo and publish a report on their examination process for having solar energy facilities introduced in prospective buildings. Along with the Green Buildings Program, Tokyo launched the Energy Certificate Program for Energy Conservation (for non-residential buildings) and Green Labeling Program for Condominiums, which require owners and sellers to display labels and explain the environmental performance of buildings. We’ll be discussing this and many other examples of smart, low-carbon and resource-efficient infrastructure at the ICLEI World Congress 2015!